On Wednesday, 1 December 1976, the Cabinet met to discuss the severe economic crisis confronting the UK and the terms of the rescue package then being negotiated from the International Monetary Fund (IMF). It was an unusual meeting, one of a series that November and December at which James Callaghan’s Labour government undertook a fundamental review of its economic policy. For over two years, the Labour administration, elected in October 1974 under Harold Wilson (Callaghan had become Prime Minister in March 1976), had confronted a series of unprecedented economic difficulties, including rapidly increasing inflation and a weak balance of payments. Following cuts in public spending and the introduction of a formal incomes policy, ‘the Social Contract’, during 1975, the situation had improved somewhat. But sterling remained under severe pressure throughout most of 1976, generating a crisis of confidence in the government’s overall strategy. For a time, the government seemed utterly unsure how to stabilise the value of the pound: indeed there was some uncertainty as to whether it could be steadied at all. For some ministers (but by no means all) there was no option but to look to the IMF for a loan. Such a loan would only be available under strict conditions. Given the perilous circumstances, the Cabinet’s December 1976 discussion was open and extensive, ranging from some ministers who wanted the administration to offer even more deflationary measures than those requested by the IMF as part of a monetarist package, to others who demanded sweeping interventions on import controls and nationalisation. Between such polarised positions, a few ministers sought to defend the Keynesian-inspired orthodoxy that had dominated post-war politics, while some suggested that limited trade protection might work, perhaps as part of a strategy to negotiate down the IMF demands. By any standards it was an unusual and dramatic Cabinet meeting. The Cabinet Papers held by The National Archives offer some sense of the discussions and how the terms of the IMF loan were finally agreed. The 1 December Cabinet considered papers including one written by the Chancellor of the Exchequer, Denis Healey, outlining the case for cuts in public spending, and another from Tony Crosland, the Foreign Secretary, arguing that no substantial shift in the government’s trajectory was warranted. Peter Shore, the Secretary of State for the Environment, pushed for a restricted form of trade protection while Tony Benn, Secretary of State for Energy and standard bearer of the Labour left, took the opportunity to argue for the full package of the Alternative Economic Strategy – the radical programme demanding the nationalisation of 25 out of the top 100 British companies, protectionist tariffs and other extreme interventionist measures. What is striking about these papers is that – with the exception of Healey’s contribution - all are remarkably succinct and undeveloped. Crosland’s memo is just two sides of brief, staccato points, representing little more than a set of assertions. The Cabinet minutes, drafted by the Cabinet Office, give a useful summary as to how each participant presented his case. But the short digest of the subsequent discussion is extremely frustrating: ten points are listed in a stark fashion without any attribution. The rather austere language in which issues are précised convey neither the depth of analysis offered nor the magnitude of the overall crisis. The minutes do not reveal exactly which points particular members of the Cabinet made about the economic situation. In this regard, Tony Benn’s diary for December 1976 provides an indispensable addition. Benn’s detailed account, published in Against the Tide, Diaries, 1973-76, reports in full the different cases outlined within the government (the unpublished version now with the British Library offers an even more comprehensive version). More than that, he conveys the atmosphere at the meeting and the spirit in which decisions were made. He depicts the sense of mounting concern within the government as well as the political dimensions of the crisis. Perhaps most importantly, in marked contrast to the official minutes, he ascribes the particular positions of ministers. A much more complete and nuanced account of Labour’s deliberations emerge. By correlating ministers with the arguments they articulated, Benn offers a rich account of the claims and counter-claims being put forward. For example, the Cabinet minutes from its 2 December 1976 meeting show James Callaghan weighing in early during proceedings with his view that Labour must accept the IMF’s terms. In the discussion, the Cabinet minutes recorded the first point: ‘The Prime Minister’s statement was an important new factor, both because it reflected his own judgement of the situation and because the consequences for the party and for the country would become very serious if it became known that proposals supported by the Prime Minister and the Chancellor of the Exchequer had been rejected by the Cabinet.’ It was manifestly an important point, though the minutes say no more. Tony Benn’s account reveals how this aspect of the discussion was even more significant. He writes, ‘Crosland said that the Prime Minister’s statement was a very grave one. He had thrown his judgement in with the Chancellor and this was a completely new factor.’ Benn quoted Crosland as saying, ‘Therefore I support the Prime Minister and the Chancellor’. Callaghan had offered a decisive intervention in the argument. But just as importantly, on hearing the Prime Minister’s position and his acceptance of the IMF’s demands, Crosland, one of the key opponents of the terms of the loan, had abruptly withdrawn his opposition - and accepted the necessity of spending cuts. In effect, the resistance to the IMF had unravelled, partly as a direct result of Crosland’s support for Callaghan. Tony Benn was an inveterate diarist. From 1968 he recorded his entries by tape, allowing his reports to become, in the words of The Economist’s Bagehot column, ‘fuller and less inspired by the constraints of official confidentiality’. Meticulously and painstakingly, he would take notes in meetings, jotting points on the margins of memos, in order to record their details at the earliest opportunity. On 2 December 1976 he did so immediately he was back in his office at the Department of Energy, probably before the stenographer recording the session officially had begun work on a transcript. Benn backed his account up with an archive carefully locating in order the relevant papers produced for each meeting. Bagehot called it a ‘private PRO’ [Public Record Office]. He was the only top level participant to provide a complete diary for both the 1964-1970 and the 1974-1979 Labour government. Diaries as a source are, of course, problematic. Entries will certainly reflect the interests of their authors. Benn’s diaries report more about some episodes from the Labour governments than for others. But they also provide a general account of the central and critical decisions taken in this period. Diaries may also reflect the private desires of the author at the expense of accuracy. All sources should be read and evaluated with care. In Benn’s case, there seems remarkably little evidence of such distortion. Certainly, he articulates his position but in seeking to provide as detailed an account as possible, he does not hide his views. More importantly, when checked against the official record there is remarkably little conflict between the two sources. Both Benn and the official Cabinet minutes for 1 December 1976 refer to United States president Gerald Ford as a ‘lame duck’. 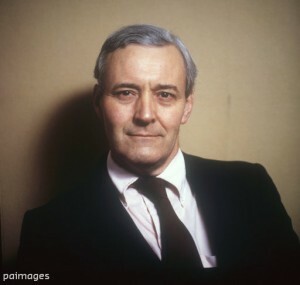 The minutes state Benn arguing that ‘the country was in the depth of a slump which would deepen’; Benn writes that he argued ‘We are in the middle of a slump with high and rising unemployment’. Both talk of the ‘two alternative strategies’ to be considered. It would of course be mistaken to rely upon a single account, regardless as to whether it was a political diary or took some other form. There are many other personal accounts of Labour politics in the 1960s and 1970s, ranging from descriptively rather dull memoirs to exceptionally acute accounts. Many of these sources offer significant insights into our understanding of the period. Diaries offer a less polished record, which are often raw and unvarnished; and in a sense they are more useful for that. They are a more immediate response to events, composed without either the benefit of hindsight or the temptation to adjust a particular position. The IMF crisis of 1976 was one of the most important turning points in post-war British history, when fundamental policy choices were made with lasting consequences for the UK. Fortunately it is also one of the better reported episodes. Tony Benn’s diaries make a crucial contribution to our understanding of this pivotal period. Tony Benn’s diaries regarding Labour in office start with Out of the Wilderness, Diaries 1963-1967, and continue with Office Without Power, Diaries 1968-1972. The IMF crisis is covered in Against the Tide whilst the end of the Labour government is discussed in Conflicts of Interest, Diaries 1977-1980. They were published by Hutchinson in 1987, 1988, 1989 and 1992 respectively. Copyright Mark Wickham-Jones. This article was produced as part of the No10 Guest Historian series, coordinated by History & Policy.